Recently, I ran across an interesting conjecture about this question while researching my next book. However, while it was compelling, I thought it best to test this conjecture against what Calvin penned about the four gospels in his Commentaries. The first thing to notice is that Calvin values the Gospel of John differently from the synoptic gospels of Matthew, Mark, and Luke. Yet there is also this difference between them, which the other three are more copious in their narrative of the life and death of Christ, but John dwells more largely on the doctrine by which the office of Christ, together with the power of his death and resurrection, is unfolded. …And as all of them had the same object in view, to point out Christ, the three former exhibit his body, if we may be permitted to use the expression, but John exhibits his soul. On this account, I am accustomed to say that this Gospel [i.e., John’s] is a key to open the door for understanding the rest; for whoever shall understand the power of Christ, as it is here strikingly portrayed, will afterwards read with advantage what the others relate about the Redeemer who was manifested. Mark is generally supposed to have been the private friend and disciple of Peter. It is even believed that he wrote the Gospel, as it was dictated to him by Peter, and thus merely performed the office of an amanuensis or clerk. But on this subject we need not give ourselves much trouble, for it is of little importance to us, provided only we believe that he is a properly qualified and divinely appointed witness, who committed nothing to writing, but as the Holy Spirit directed him and guided his pen. Luke asserts plainly enough that he is the person who attended Paul. Matthew is sufficiently known [from the Gospel accounts]. …For we will not say that the diversity which we perceive in the three Evangelists was the object of express arrangement, but as they intended to give an honest narrative of what they knew to be certain and undoubted, each followed that method which he reckoned best. Now as this did not happen by chance, but by the direction of Divine Providence, so under this diversity in the manner of writing the Holy Spirit suggested to them an astonishing harmony, which would almost be sufficient of itself to secure credit to them, if there were no other and stronger evidences to support their authority. Note that John had intimate access with God and man and later in life, much knowledge and love. Matthew (called Levi) was a Hebrew civil official collecting Roman taxes, despised by his countrymen, and was grateful to leave all behind. Peter (and perhaps Mark) worked with his hands, was bold, impulsive, and spoke well extemporaneously. Luke was a physician who set out to document both the life of Jesus and the Acts of the Apostles meticulously. The conclusion of the preceding exposition brings us to the source of the conjecture. David Keirsey’s book Please Understand Me is a useful reference for writers who want to fully flesh out their characters. He says Hippocrates and Galen observed that there are four personality types. 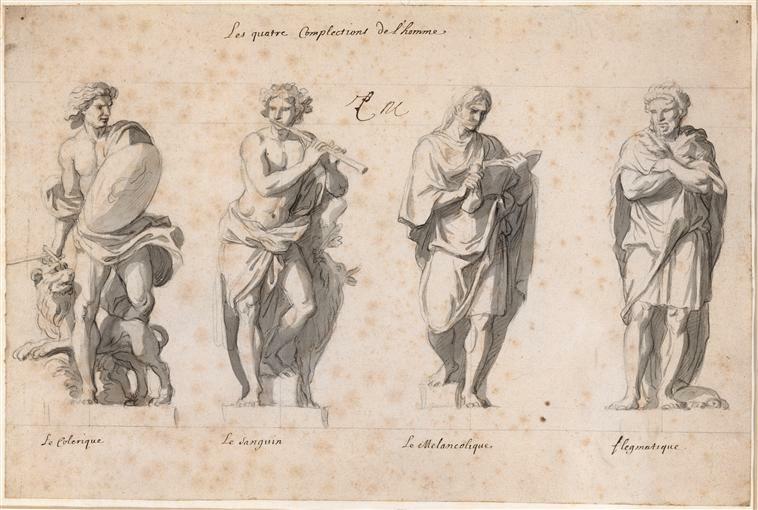 Later scientists refined their observations by identifying four distinctions within each type. We’ll review Keirsey’s take on the four personality types via several posts over the next few weeks (possibly interspersed among other postings on different topics). These are the Gospel author’s predispositions. Their experiences molded them, as far as they were willing and able, so that they acquired attributes of the other personality types. These attributes in total could be said to be their overall dispositions. Although God may choose to relate to our predispositions through the Gospel writers, once He gets hold of us, He conforms us to His Son’s likeness as His sons and daughters. Of course, the number “four” is a common theme throughout the bible.